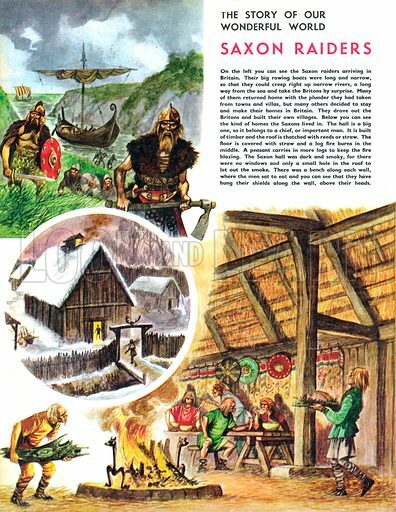 The Story of Our Wonderful World: Saxon Raiders. Inside a Saxon house, plus the invading Saxons arrive. Available worldwide for immediate download up to 3,518 x 4,549 pixels.